In the past, dolphins were thought to be only found in South and West Wales – However, this is no longer the case. Dolphins in recent years have been spotted in North Wales. This article will give you the best information on how to see these amazing creatures with your own eyes. Although it’s definitely not the most common site you will ever come across -that’s what makes it so special. A brief look onto the internet will reveal some awesome footage of these outstandingly beautiful creatures gliding above and below the waters, dolphins are known for being friendly towards humans and in the past have even been known to even help to drown sailors at sea. But how can I definitely see one on a trip? There is no way you can guarantee seeing these wonderful creatures – not in the slightest, however, if you often go to the beautiful locations in which they are found, and see the seals which are, much more commonly present, then you at least have a chance of being treated to their presence. 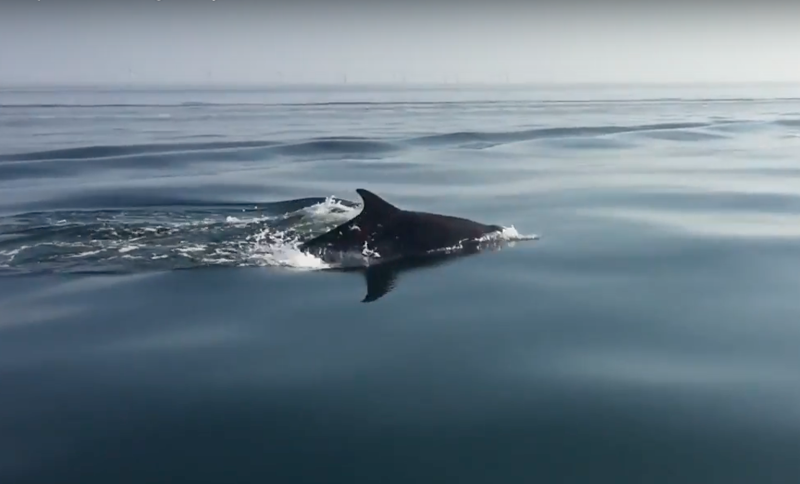 Gwrach y môr uploaded this amazing video of a pod of dolphins swimming in the ocean alongside his vessel, much to the excitement of the onboard passengers and crew – who are incredibly lucky to have gotten so up-close-and-personal with these sublime animals. Dolphins off Angel Bay, Llandudno. Rhunt231 also uploaded some unbelievable footage of dolphins swimming in front of his vessel. A great way to explore the ocean regardless, (with the chance of seeing these almost legendary sea creatures) is yacht charter. This way you can sail the oceans at leisure with the hope of seeing some marine wildlife. Dolphins are spotted from Cardigan Bay all the way to the North Wales Coast. This population of bottlenose dolphins are the largest found in the UK. The best place to go to check them out is the headlands which are around the coast. For example, Abersoch is known to be somewhere where you can find Dolphins. Andy Huddleston captured some truly awesome footage of dolphins using his drone on a misty day whilst being out on his boat. Many companies offer sightseeing trips to some of these awesome locations. Many people visit Wales every year for its breathtaking scenery. The wonderful cliff and beach covered coastline is a large part of the reason why it is so popular. The wildlife is also a huge draw as the chance to see some ocean animals thriving in their natural environment.